Marketing Communications Tone: Is Your Marketing Collateral Tone Deaf? This is part one of a four-part series on marketing communications style. For more information on the subject, please visit parts two, three, and four. How we say it is tone. Yet how we say it is often overlooked by companies in their marketing communications. If you fully unpack Carnegie’s quote, it’s really a broad roadmap for branding. So the question of marketing communications tone is central to building your corporate “voice” and your brand with customers. Your choice of the appropriate tone of voice depends on the audience you address and should reflect your company culture, but most importantly, your customer’s expectations. 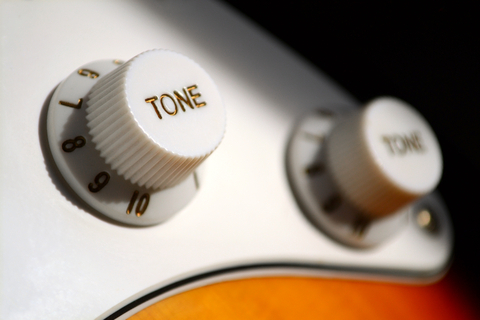 A consistent and distinctive tone sets you apart from the competition. A major PC and server vendor that used the “we/you” sense of address in all collateral, and adopted a style (more on that in our next post) that eliminated most capitalizations. A multinational storage company that frequently used sentence fragments and cartoons. A highly-regarded security software vendor that uses the “you” sense of address, catchy language, and a very informal tone. Yet another security software company that consistently “spoke” only in third-person, and avoided using all pronouns unless absolutely necessary. This is the pinnacle of formality, and truly did reflect the culture and marketing goals of the company. Recently, Hoffman held a kick off call with a new client for developing online collateral. Prior to the call we examined its existing online materials, which ranged from very casual (“You should act now!”) to very formal (“Enterprises in this market should…”). When we asked them which of the tones we should adopt in the new collateral development, there was an uncomfortable silence on the other end from their marketing team. It was obvious they hadn’t noticed the discrepancies (or didn’t know how to address it). Consistency—in any relationship—from person-to-person or B2B marketing builds trust. And trust is a cornerstone of any brand. Use of consistent marketing communications tone can help build this trust. Caterpillar, the undisputed global leader in the manufacturing of heavy machinery, believes so much in the concept of tone of voice that it launched its “One Voice” campaign to train nearly 10,000 employees for use in all its communications . Who are you, and who are your customers? Are your customers casual and hip millennials seeking the latest-and-greatest? Or are they C-level execs concerned with security? It’s easy to see how marketing communications tone can become an unintended mashup, however. In the rush to deliver a new product, the frenzy before a major trade show, or the relentless 24×7 marketing environment we’re all immersed in, consistent tone can easily get lost…especially if multiple marketing deliverables are handled and vetted by more than one person. Attention to tone is a learned skill. Writers with years (and the ears) of experience can easily adapt their writing to accommodate a wide range of tone-of-voice. That’s what we do every day at Hoffman. Our writers have an average of 20 years’ experience writing everything from edgy blog posts for consumer products to technical manuals for network administrators. Drop us a line or two on your use of tone of voice in your collateral. Who is your audience? Do you have a consistent, distinctive tone of voice that your customers can trust? We’d like to hear your thoughts—and your voice. And stay tuned for our second of four blog posts on style.